July 2016 was a great month! New fellows started, advocates told the hospice story on Capitol Hill and online, the AAHPM held it's Summer Institute. Good things all around. Here is a recap of all of our posts from July 2016. We know there are some you may have already bookmarked, but forgot to read, or maybe you liked it so much you want to share it again. Make sure to follow, engage, like and comment with us on Facebook, Twitter, Google+, Pinterest, Tumblr and LinkedIN. And now catch us on Instagram, where we have grown quickly in the past month. And we always appreciate it when you recommend us to your peers. Clay Anderson, Drew Rosielle, Lyle Fettig, Anthony Back, Lizzy Miles, Gerg Gifford, Kyle Edmonds, Kathy Kastner, Karl Steinberg, Lynne Kallenbach, Emilie Clark, Robin Kleronomos, Anthony Herbert, Tom Quinn, Karen Kaplan, Lisa LaMagna, Sidnee Weiss-Domis, Daniel Miller, Robin Youlten, Rebecca Gagne Henderson, Linda Dolan, Andy Probolus, Amy Getter, Alex Smith, Gerald Tevrow, Elizabeth Lindenberger, Vikranta Sharma, Elaine Glass, Matt Rhodes, Vickie Leff, Paul Rousseau, Emily Riegel, Will Grinstead, Jeanne Phillips, Staci Mandrola, Julie Koch, Michael Pottash, Thomas Reid, Pippa Hawley, Kat Collett, Michael Fratkin, Julie Christenson and a few anonymous people. Oh my goodness, there were so many good comments to choose from as you can see from the number of people who commented above. I don't think we can pick just one. So I will just highlight a few great snippets. 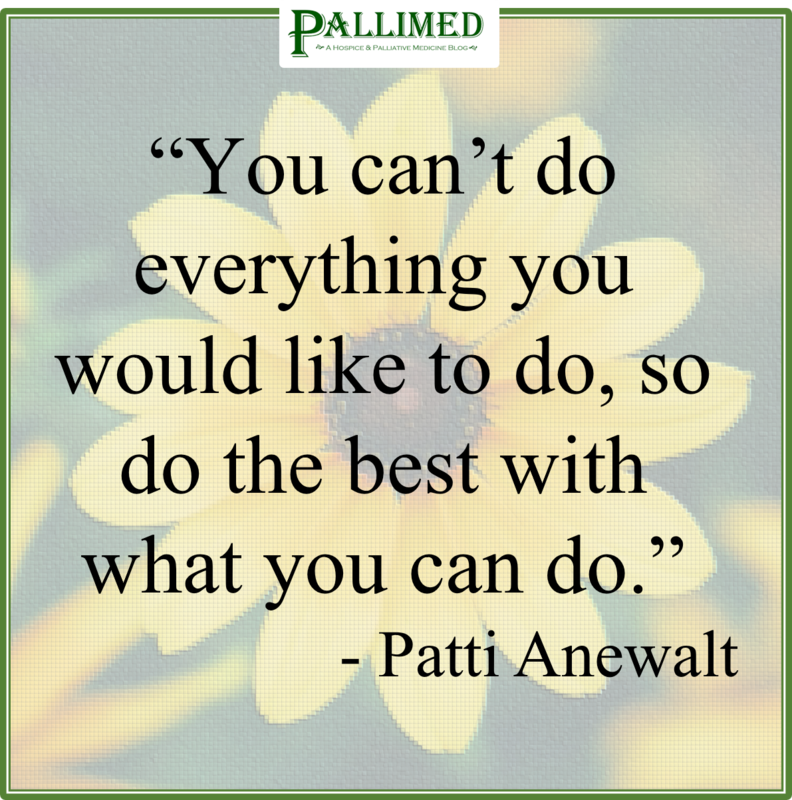 Do you love hospice and palliative medicine? Got something to say or find interesting things to share? Want to reach nearly 40,000 people with your ideas? We do this with a volunteer staff of ten, but we could use more regular volunteers. If you are interested in writing for or working with us at Pallimed please check out the Pallimed Opportunities page and complete the form at the bottom. If you want to help we have something you could do! 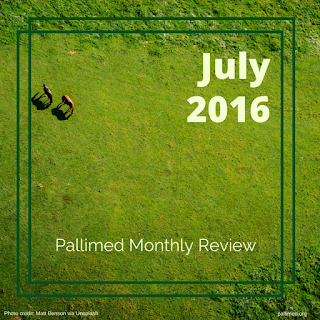 Like write this simple monthly review post (this would be really easy to hand off)! Or join our team of social media ambassadors to help run one of our social media accounts (especially with Facebook, Pinterest, LinkedIn, Instagram and Tumblr) - we do on the job training! Send us ONE square photograph from your life that represents your self-care activity of choice. Tell us in ONE sentence about this activity. "I like to bowl because it makes me feel young again." Photos must be original, by author. Include your name, hospice/palliative care role and Twitter handle (if you have one). We may not be able to publish all entries. "Assisted Death" - So many problems here. A) To start with, I don't see a need to replace 'euthanasia' or 'physician-assisted suicide' or 'assisted suicide' with new terms. Because those terms have, at the end of the day, well-defined, internationally agreed-upon definitions. The public may not understand those definitions well, true, but the solution to that is educating the public, not replacing the phrases with ones which are less accurate, less precise, more euphemistic. B) I've seen people claim 'assisted death' to be a synonym for 'assisted suicide' and only suicide, not euthanasia, as well as it being a blanket term for both of them combined. 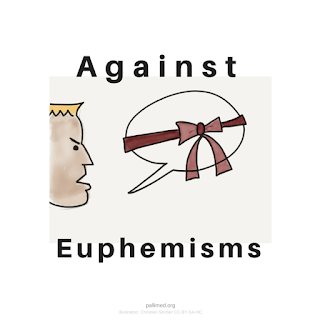 It sort of makes sense as a blanket term - some phrase to capture the practices of medically-assisting death including both euthanasia and assisted suicide. At the end of the day I can live with this use of it, however it is still confusing, and, prima facie, could also be 'interpreted as including medical actions which are not considered to be euthanasia or assisted suicide (deactivating an LVAD, stopping ventilation in a patient with ALS who is totally ventilator dependent, clamping an ECMO circuit). These all involve removing/discontinuing life-prolonging/organ perfusing treatments which the overall biomedicalethical consensus treats as not suicide or euthanasia, which imply actively introducing treatments with the explicit intent of stopping the heart/breathing aka killing. C) There is the 'optics' argument for removing the word suicide which I understand, suicide is generally considered to be a very bad thing ranging from tragic/horrible to a mortal sin. The proponents of legalized assisted suicide are arguing that it is moral and ethical, therefore it isn't suicide, or shouldn't be called suicide, because suicide is bad. I understand this argument, however I am not persuaded. Again, in part because 'assisted death' is more confusing, less accurate than 'assisted suicide' as above. Maybe 'assisted self-killing' would be better? 'Assisted self-administered lethal ingestion'? 'A terminally ill patient ending her/his life deliberately by taking a prescribed medication which was prescribed to them for the express purpose of ending the patient's life?' Maybe? Not parsimonious, but an accurate description of what you're talking about, without 'suicide.' I guess to me, however, deliberately taking a lethal dose of a drug to intentionally end your life that day, is suicide. That's what suicide means, acknowledging there are many ways of doing it which don't involve prescription medications. And the proponents of assisted suicide are making the argument that it is morally acceptable to do that in certain circumstances, and it is professionally acceptable for doctors to help patients do that. That's an argument one can make, and the proponents of legalized assisted suicide make that argument, but I don't at all see how that's an argument that the action is not suicide. It's an argument that there is a circumstance in which suicide is ethical, justified, moral, and within the scope of medical practice. Proponents, go ahead and make that argument, just don't argue that it's somehow not suicide. Calling it 'assisted death' however just seems to confuse and obfuscate, not clarify. This weekend I was on-call for our inpatient palliative care consult service. As I reviewed the list, I knew only a handful of the patients from seeing them earlier in the week. We had three new consults and had to make a handful of follow-up visits for symptom control and goals of care discussions. Many of the people I met this weekend, I had never met before and I knew we would need to start talking about very challenging issues within in a short order of time. Thankfully I had a simple tool, that made these potentially awkward situations much easier for me, the patients, the families and staff: a friendly introduction to each person in the room. We’ve talked about Dr. Granger and the #HelloMyNameIs effort on Pallimed before, but I wanted to write it again to honor Kate and her efforts, because she is no longer able to carry on this mission. I know that many other people will, and I hope you will be one of them. Kate Granger died in England this past Saturday from sarcoma. The same sarcoma that landed her in the hospital in 2013 and inspired her essay on the lack of human connection in modern medicine. During that hospital stay she noted how inconsistent the introductions from staff were. After that stay, she sent out a tweet with the hashtag #hellomynameis and encouraged other healthcare professionals to always include it in their practice. Because of this, Kate Granger is a clinical hero of the first order, who has changed the care of millions of patients, by cementing a simple concept of the friendly introduction into clinical practice. 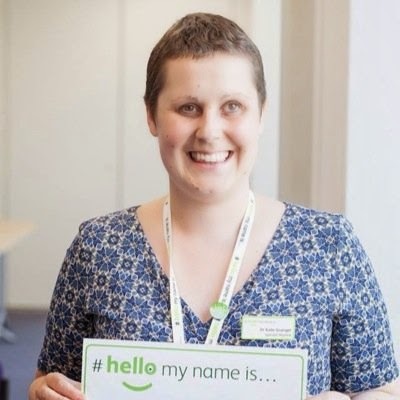 Her efforts in the UK led to the National Health System (NHS) to make #HelloMyNameIs an official campaign, with hundreds of thousands of clinical staff, clinics and hospitals signing on. Kate spoke internationally on the importance of building relationships between clinicians and patients. She was awarded the Most Excellent order of the British Empire for her work in this area. I’m surprised at the lack of widespread uptake here in the United States, because this is such a winning concept that other clinicians and health care organizations around the world have adopted and made big impacts. Everyone in healthcare should know about Kate and #HelloMyNameIs. So this past weekend, knowing Kate was gone, but really still with me, I continued the lesson she taught me 3 years ago. I made better connections with people because of #HelloMyNameIs. Her legacy will live on with all of us to exercise in practice and to educate our peers and learners. Because of Kate Granger, her story and her advocacy for #HelloMyNameIs, I didn’t have to wait until I was a patient to view the imbalance of power and vulnerability. It has been laid out for all of us to acknowledge by Kate, our peer and hero, to make a friendly introduction and never stop seeing the person in the patient. One of Kate's last essays in the UK Telegraph - "I blogged about my death, but then I didn't die"
Official website for #HelloMyNameIs - Get a name tag! 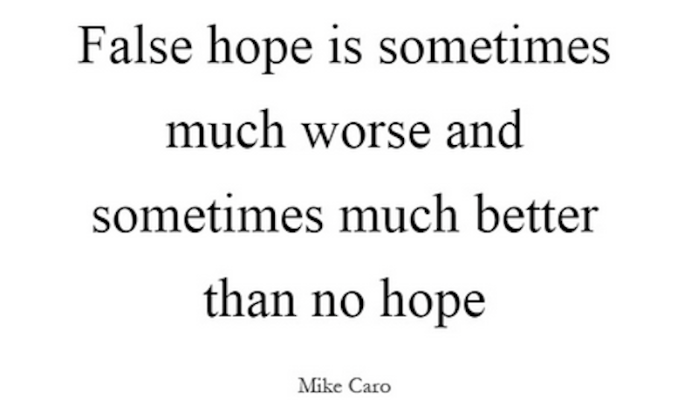 ‘Hope’ for these purposes refers to someone who will never recover or get better. The arguments I’ve heard against giving hope that is most likely doomed to be ‘false’ are many, and many seem logical – although not necessarily from the patient’s point of view. For me, these reasons have nothing to do with the patient, and everything to do with anticipated emotional and practical mop-up that may fall in the laps of those who hold out hope – however false it may be.. 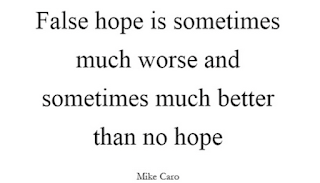 But wait: not all hopes have to be BIG hopes: hope for a cure, permanent remission, return to ‘normal’. The beauty of the spectrum of ‘hope’ means it doesn’t have to be a ‘huge’ hope to be of benefit. Up until life’s end, there are still things to hope for, like the 103-year old woman who hopes to live to vote for the first woman president, or Garry’s hope - having been diagnosed with esophageal cancer a month after his wedding: Preach on Mother’s Day. Dr. Robert Roose MD MPH, tells the story of Samuel, a middle aged black man, 8 months into a diagnoses of Stage IV gastric cancer. 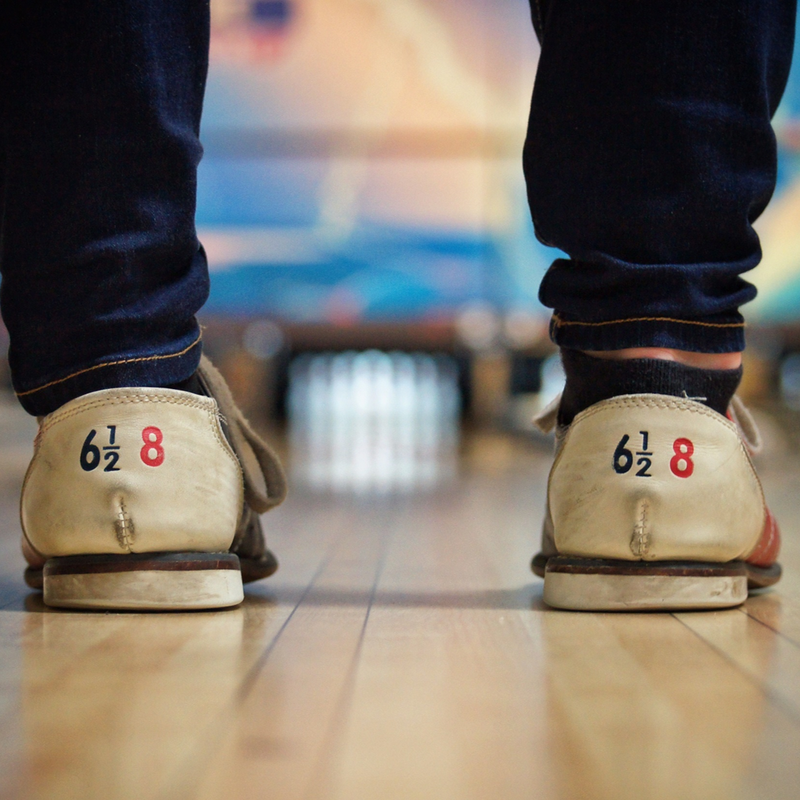 “He was in constant pain and the one thing that brought him joy – eating – was unbearable." One day, Roose decided to do something different: asking Samuel if there was anything he wanted. Was that the Big Hope - a peaceful passing? Doesn’t sound like it. But for Samuel, he got what he longed for and hoped for. A Valencia Orange. It’s an opportunity to be generous of spirit, and perhaps even the rabid anti ‘false-hope’ crowd can sign up for. We invite you to join us this Wednesday to talk about hope at the weekly hospice and palliative medicine/care chat on Twitter using the hashtag #hpm. Host: Kathy Kastner Follow @KathyKastner on Twitter. 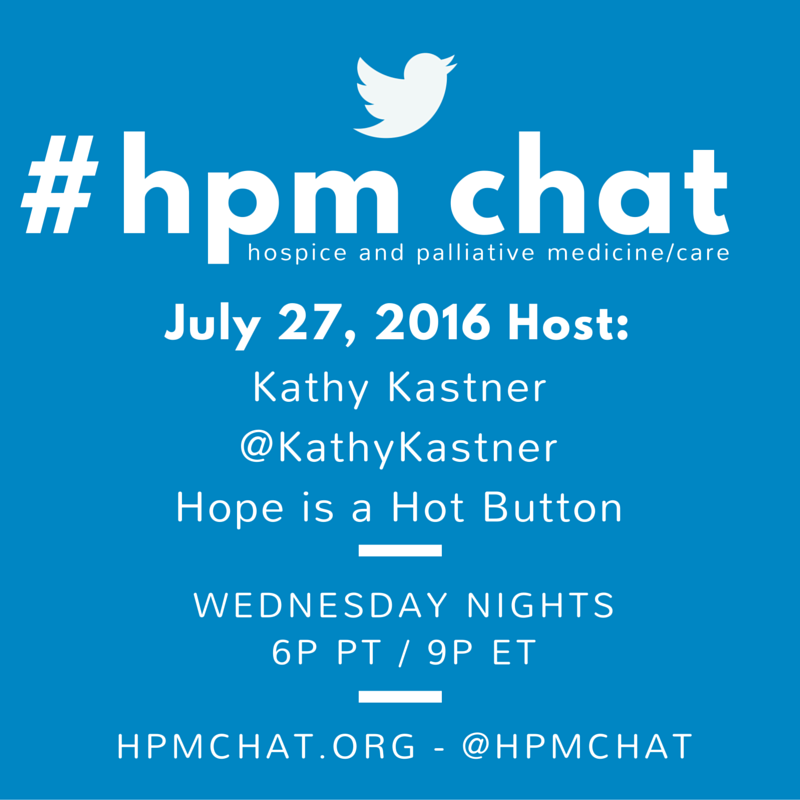 Kathy Kastner was motivated by what she learned on #hpm to create BestEndings.com. Now, she is considered an ePatient evangelist for palliative care, did a TEDxTalk, and is regularly invited to speak on the topic. This post was originally published on Pulse (LinkedIn.com). It has been published here with permission of the author. I am a hospice chaplain working in Central Ohio and am asked in that role to provide a prayer at the beginning of our interdisciplinary team meetings. I want the prayer to be truly interfaith and non-denominational, but even more importantly, I want the prayer to meet the team where it is in the moment, and to inspire them in their work. I use a mindfulness bell to set the tone for the prayer and to create a space in the day. May God bless our ministry today. Inspire us to be instruments of Your Compassion, offering genuine presence, comfort and hope to those we meet. Since we often feel overwhelmed, help us take care of each other, and remember to take care of ourselves as well. Help us to be patient with one another, and with ourselves, and when recognizing a Moment of Grace, to smile in appreciation. May God bless our ministry today, and always. Editor's note: John has graciously given permission for other hospice and palliative care teams to use this opening prayer for noncommercial purposes. If you do use it, please let us know what you think. If you have other suggestions for how you open your meetings that you would like to share with the Pallimed.org community, please see our submission page. You will find some good information on the American Academy of Hospice and Palliative Medicine (AAHPM) subspecialty certification page. But beyond knowing the blueprint and areas covered by the exam, what you can you tangibly do to help ensure you pass the boards? First, go back to your fellowship. Talk to your faculty and mentors about their own experience if you have not already. Review the talks and educational opportunities you had during your fellowship. You have good, free accessible educational materials, so use them. Second, make the most use of the free stuff out there! 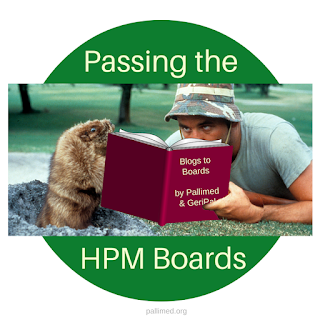 In 2012, Pallimed and Geripal writers** got together to make board prep questions based on articles covered by the two blogs. If you do not have your copies of Blogs to Boards, then get them here now! The first PDF has just the questions so you are not tempted to peek. The second PDF has the questions with fully referenced answers and explanations so you can understand the concepts better. If you are a fellowship and want to use these questions, please go ahead, they are open access. Share, share, share. Just a bit of caution, these questions are four years old, and we have not revised it, so if you find anything out of sorts, please let us know. But, hey it is free and written by "well-respected" bloggers, so it's got that going for it, which is nice. If you have time and some new attending money to spend, then you have a lot of options. The AAHPM Intensive Board Review Course is in two weeks. They have great faculty lined up and you will likely pick up some things you didn't necessarily catch in fellowship. I'll be there in Pittsburgh attending some of the other Summer Institute offerings, so if you are going stop me and say hello! Other board review courses are being offered by MD Anderson (I'll be there too, teaching this time!) and Mt. Sinai both in September. I don't know of any on the West Coast. If your travel is all locked up because of your new job, then you may be interested in the newly released (this week!) HPM PASS 3rd edition. I have done both previous editions of HPM PASS, and will be getting the third edition soon. There are 150 questions so as a member it is a little over $1 per question which is a steal considering how freakin' hard it is to write good questions (See Blogs to Boards above). Review FAST FACTS available from the Palliative Care Network of Wisconsin (PC-NOW) - How many should you review? At least the 50 Essential Fast Facts, but hey you have several weeks so devour as many as you can. While you are at PC-NOW, check out the Fast Fact Quiz (and archives) - More free questions! 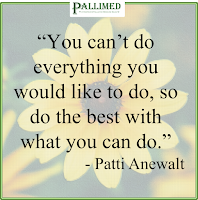 Read the UNIPAC series, especially the book on Hospice to make sure you get your Medicare Hospice basics down. Sometimes these important issues can get lost in fellowship training. Any of the nearly 7,000 board certified HPM physicians have any other good resources and tips? Share them in the comments below. *Allopathic boards test date. The 2016 CAQ for DOs dates are not readily available. Does anyone know when they are? 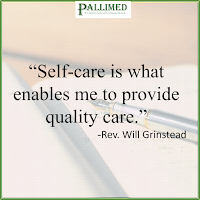 Christian Sinclair, MD, FAAHPM is a board-certified hospice and palliative medicine physician at the University of Kansas. If anyone wants to do something new with Blogs to Boards, he is all ears! Full disclosure, he is the current President of AAHPM, but he does not get a cut of any of the AAHPM items he is recommending above. They are truly great options. Just wanted to be clear. Also, I have nothing to do with the Board test questions (and neither does AAHPM by the way). I know I am not alone in my disappointment this week with the authors’ conclusions in “Effect of Palliative Care-Led Meetings for Families of Patients with Critical Illness: A Randomized Clinical Trial.” The study intervention involved the provision of an informational brochure and two focused meetings specifically designed to provide families with information about prognosis. The study found no difference in most outcomes between usual care and the intervention, and PTSD symptoms were in fact increased in the intervention group. The authors concluded that "these findings do not support routine or mandatory palliative care–led discussion of goals of care for all families of patients with chronic critical illness.” What? How does this very specific, targeted intervention that deviates dramatically from usual palliative care practice become equated with palliative care? As a palliative care physician at Mount Sinai, I participated in this study. I am not surprised by the negative results. These family meetings were highly scripted, designed to provide information about prognosis, and rarely involved the primary team. The study had great potential to make a contribution to the practice of critical care medicine, specifically to answer the question of whether offering prognostic information earlier in the critical illness trajectory could benefit patients and families. However, the study was designed such that the informers were not the patients' treating physicians. In fact, ICU team physicians participated in only 3-8% of meetings. Palliative care providers were chosen to given the information because of their expertise in communication. And yet nothing about the intervention resembled a standard palliative care intervention, which would have involved the entire IDT, multiple meetings for relationship building, information provided only when welcomed by the family, and the 100% presence of the ICU treating team at the meetings. I remember back to one particularly distressing family meeting spent managing a family member’s anger at what to them was shocking, new information about prognosis provided in the study brochure. This family was not ready to receive information about prognosis, especially without their primary team present. This is not standard palliative care. Again, I believe this study was bold and important in testing a specific information-giving intervention for a vulnerable patient population at high risk for unwanted overtreatment and suffering. It is the study’s conclusions that are flawed, and I worry about their potential for depriving critically ill patients and their families from the benefits of true gold standard palliative care. Elizabeth Lindenberger, MD, is a palliative care physician and program director for the Hospice and Palliative Medicine Fellowship at the Icahn School of Medicine at Mount Sinai in New York. This is her first Pallimed post. 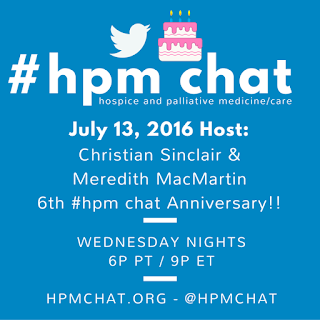 Next Thursday marks the 6th anniversary of #hpm chat, our weekly online chat dedicated to hospice and palliative medicine/care. 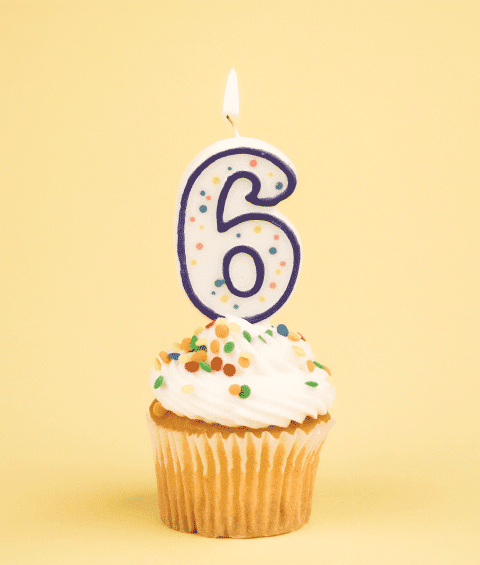 In these six years, multiple friendships and connections have been made because of #hpm chat. Through these weekly conversations, I know social workers, physicians, pharmacists, chaplains, advocates and physicians I would never have likely met otherwise. They help inform my worldview of the field through sharing their experiences. One chatter recently mentioned that #hpm chat was like her interdisciplinary self-care. I must agree,. Each time I feel a little drained by work and think about skipping out on the Wednesday night chat, I sign on and find that I am re-energized by the end of the hour. 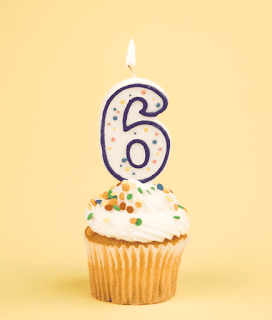 So I would like to invite you to come celebrate with us on our 6th anniversary. If you only have used Twitter to follow the The Hospice and Palliative Care Annual Assembly, you will find the same energy and great info all year long each Wednesday night. If it invades family time, I get that, but think of it like going out after work with colleagues. You are entitled to do that a few times a year! It’s good for your professional networking! And if you are one of the thousands who have participated over the past six years, thank you so much for being part of a unique endeavor. Collectively we have made a tent pole for hospice and palliative care advocates to gather and support each other, all while being open to the public for education and feedback. Since 2010 we have held 297 chats covering lots of topics, with a few repeats in there because the audience is always changing and people have new things to bring to the table. Since 2014 we have had 124 chats with nearly 88 million potential impressions from nearly 40,000 tweets from over 4,000 (non-unique) participants. We are excited to see what the future brings. 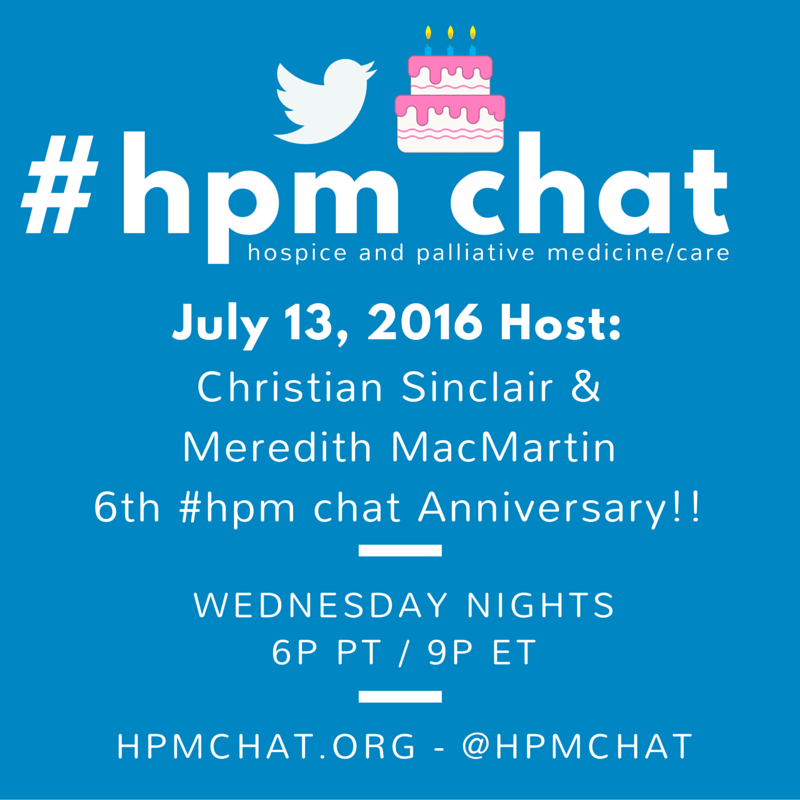 A big shout-out to the #hpm chat co-moderators: Meredith MacMartin (@GraniteDoc), Niamh van Meines (@EOLNavigator) and Ashley Deringer (@acderinger). They have done a great job making sure this chat functions week in and week out. If you are interested in helping with #hpm chat we have some projects we would like to do but need more volunteer hands on deck. Just contact any of us on Twitter or @hpmchat. 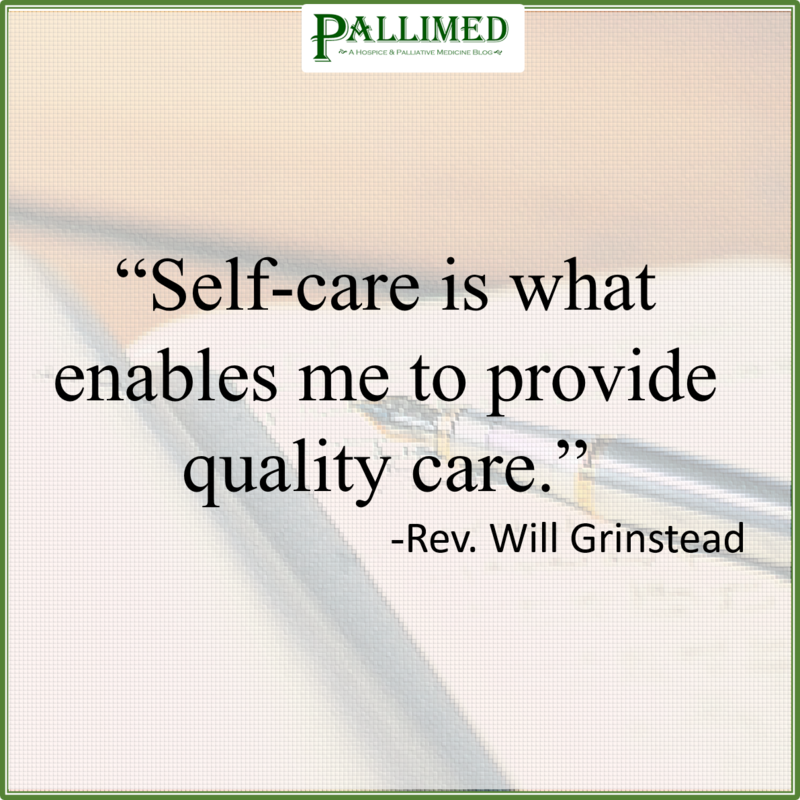 Christian T Sinclair, MD, FAAHPM is the co-founder and lead moderator of #hpm chat, editor of Pallimed, president of the AAHPM, and a palliative care doctor at the University of Kansas Medical Center. If you seem to always forget about the chat until it is over, you can always set a calendar reminder! *Occasionally people ask why #hpm and not #hpmc? #hpm was not a widely used hashtag, but #hpc was already getting lots of traffic for people to talk about Hewlett-Packard Computers (which has now morphed to High-Powered Computers). The first organizing hashtag for our field was #AAHPM for the 2009 Annual Assembly. As the Twitter tribe for our field was small back then, the decision was made by me to stick with #hpm since it was close to #AAHPM, and not staked out by any other group. 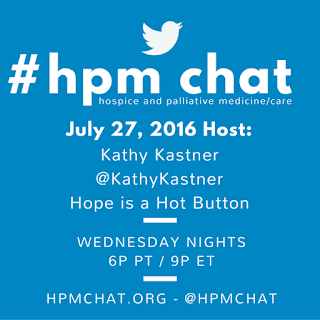 We now recognize it as hospice and palliative medicine/care and have all professions well-represented at our chats. Well, I've been practicing palliative medicine for 10 years - 11 including my fellowship. So I feel like maybe I can take off my young turk hat, and put on my grumpy old man socks (I'm looking at you Bob Arnold and David Weissman) and start complaining. What I wanted to complain about is the use of euphemistic, moralistic, and/or confusing terminology in our field, to describe our clinical work, and suggest we'd all be better off if we just said what we mean, as cleanly as possible. All of medicine has this problem, but palliative care you are my tribe, so this is what I'm going to complain about today and over the next four weeks. During my training, I quickly got taught to avoid damaging, inaccurate, or inflammatory/scary phrases like "withdrawing care," "terminal sedation," "there's nothing more we can do," "pull the plug." So I stopped using them (although I'll note I have patients or families say the latter two to me all the time as they describe what they are deciding or what's happening). However we've got plenty of our own euphemisms in palliative care, although none as horrid as 'withdrawing care'. This will be a 4 part-er and discuss 'comfort care,' 'compassionate extubation,' 'palliative sedation,' and 'assisted death.' I appreciate perhaps all this is a little cranky, and look forward to readers' responses, push-back, alternatives, etc. Sharpen your quill. In particular, if someone can counter-propose a non-euphemistic-but-as-nearly-parsimonious alternative, let us know. I'm not going to talk about 'serious illness,' because I don't know quite what I'd say, but I appreciate it has its problems. I don't think it's as egregiously messed as 'palliative sedation' or the others, however. I need to acknowledge that all language is 'loaded', full of multiple meaning/connotations, historical context, etc - I get that - I'm arguing however as much as we have a choice to be clearer/more accurate/more transparent we should do so. I also appreciate that some of these terms are used as a sort of argot, an in-group short-hand ('we all know what we are talking about'), and that's fine I guess, but I still think we (in medicine, in healthcare, in life) should collectively try to err on saying-what-we-mean-clearly, as much as we can. Certainly, if we're using an argot, it should never be used in front of patients. Let the politicians have their double-talk, we're better than that. "Comfort care." "Comfort measures." Ok, I'm starting with an example that's just going to prove to you that I'm just being grumpy and vapid, because this is the one term of the 4 that I still use (in discussion with other healthcare professionals), because it is widely recognized amongst us healthcare professionals, and replacing it with the huge mouthful of 'a plan of care in a patient who is dying in which the goals of care are to prevent and alleviate suffering but not to prolong life/the dying process' is irksome, and runs the risk of the people who you're talking with deciding you're a pompous jackass. So, yes, I say it, but only internally, I treat it as jargon, dirty, dirty jargon never to be spoken in the presence of patients/families. My problems with it are two-fold. Two, it's confusing for patients and should never be said in front of them. I've seen it lead to stupid miscommunication many times. Like someone asking a patient 'Do you want comfort care?' 'Do you want us to focus on keeping you comfortable?' and the patient saying 'Yes of course' not realizing that the clinician was actually saying 'Should we stop efforts to prolong your life and *only* provide ongoing interventions to alleviate symptoms/provide comfort?' It's kind of like the infamous consult we've all had where it's like 'the patient wants hospice care please help arrange that' and you get there and find out the patient was asked something along the lines of 'Do you want to go home?' 'Do you want support at home to keep comfortable?' and of course the patient wants this, who the hell doesn't, but it was never actually explained to them that hospice implies discontinuing life-prolonging treatments, and not coming back to the hospital for 'aggressive measures.' (I know, I know, not always, there is some nuance here, but this is basically what enrolling in hospice implies.) Friends who work in hospice - these patients are enrolled all the time, right, and you go visit them and realize they have no clue what they just signed up for? They thought they were signing up for help being comfortable, and people coming to visit them at home, but not discontinuing active attempts to keep them alive. A couple of years ago I wrote a Pallimed article called, "We Don't Know Death: 7 Assumptions We Make about the Dying." 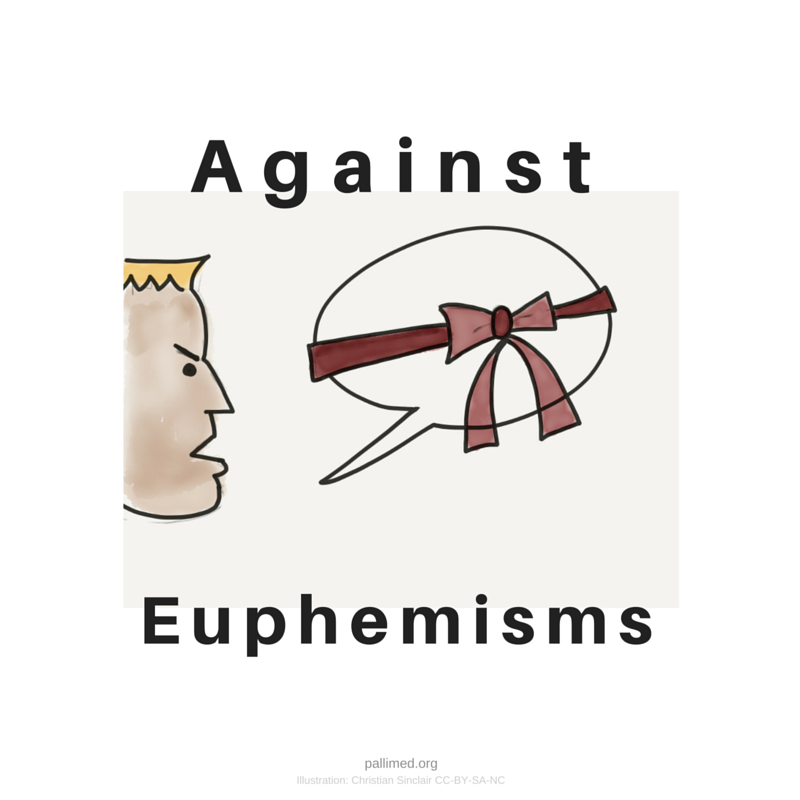 Having knowledge of our assumptions is a first step, but what do we do with that knowledge? Since I wrote that article, I have further contemplated the “so what” factor of the assumptions to develop suggested interventions. This article is the fifth in a series of articles where I take each assumption from the original article and explore the concept in greater depth to include implications and possible interventions. In my last article, I wrote about the assumption People don’t want to be alone when they die. Here is our next assumption: Family matters will get resolved. 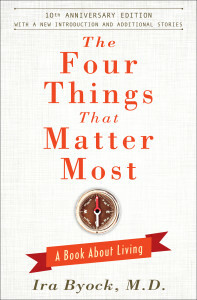 The book asserts that we can have powerful emotional healing within our relationships if we remember what matters. It is one of my favorite books on end of life. 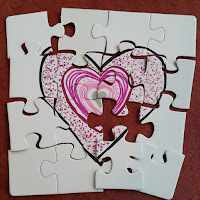 As a hospice social worker, I have been witness to some powerful reconciliations at end of life: a daughter who forgave her mom for alcoholism, a son who forgave his dad for the divorce, siblings hugging it out. We sometimes even see the patient’s physical symptoms resolve. “Terminal restlessness” may go away when that long estranged loved one finally visits. We see the unconscious patient’s brow relax. The effect of resolution in the patient is physically apparent and they die with a peaceful expression on their face. Sadly, though, we have to acknowledge and remember that sometimes the reconciliation doesn’t happen. 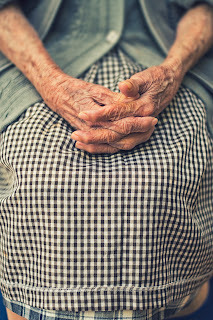 The daughter will never go to the nursing home to visit her dying mother. The brothers will not put aside their differences despite a shared love for their dying father. The patient will not forgive the grandson who stole from her. Unresolved conflict can be difficult for some hospice and palliative staff to accept. We know how much better they will feel if they can just let go of past hurts. We know that if they hold grudges, they might hold it for the rest of their lives. Is there something we can do or say to help them understand? Maybe. Maybe not. We have to remember it is not our family and we don’t have the complete picture. We should not go overboard trying to set up a reunion or reconciliation because of our own idealized view of relationships. 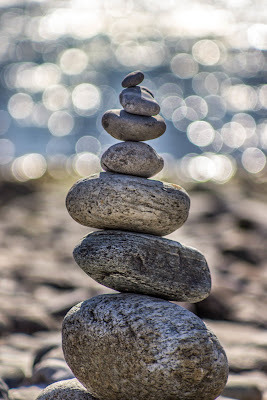 It is easy for us to get caught up in the situation if we are repeatedly reminded by the patient or primary caregiver of the desire for contact with another family member. Remember, it takes two to reconcile. A patient or other family member may even ask staff to make a phone call to the estranged family member on their behalf. They might hope that a staff member’s notification will be taken more seriously. They might hope we have a way with persuasion where they did not. This intervening is not advisable. In social work, we call this triangulation. Triangulation means we are getting in the middle of things and taking sides. We have to let go of the romanticized notion of our personal role in helping to resolve a 30-year old dispute at the deathbed. Suggested Intervention: Assist family members with talking through how to reconnect to a loved one, however, avoid interjecting yourself in the middle of the situation. You can help them with phrases on how to reconnect. We may not be the only ones who are hoping to see a reconciliation. There are times where a family member who is close to the patient is hoping the patient will resolve issues with another family member. Sometimes it is not a matter of an interpersonal dispute, but rather the primary caregiver is disappointed that others are not visiting patient. This is especially painful for the hopeful one because the patient is dying. This is that other family member's last chance to make things right. The high expectations one family member has of another can cause frustration for all parties involved. Suggested Intervention: Provide emotional support to family members who are distressed by non-involvement of other family members. If appropriate, encourage them to express their feelings directly to these other family members. There may be times where we are in contact with the estranged family member. For example, when the Power of Attorney (POA) of a patient in a facility does not visit the patient. They have their reasons for not wanting to be there. If we do our part to inform the POA that the patient is dying, and they still choose not to visit, we have to accept their decision. Suggested Intervention: Allow family to stay un-involved if they choose. Provide supportive listening if they feel they want to explain why they are estranged. Although we may not personally have experienced extreme family dynamics such as abuse that led to estrangement, we have to acknowledge there are situations that warrant a relative’s choices. 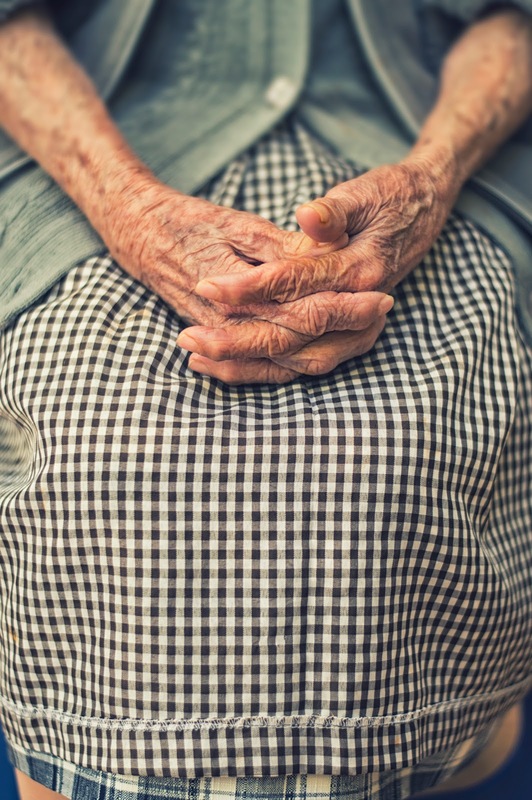 It is sometimes impossible to fully understand the contempt a family member has for the patient when what we see is a sweet, kind, and vulnerable person. 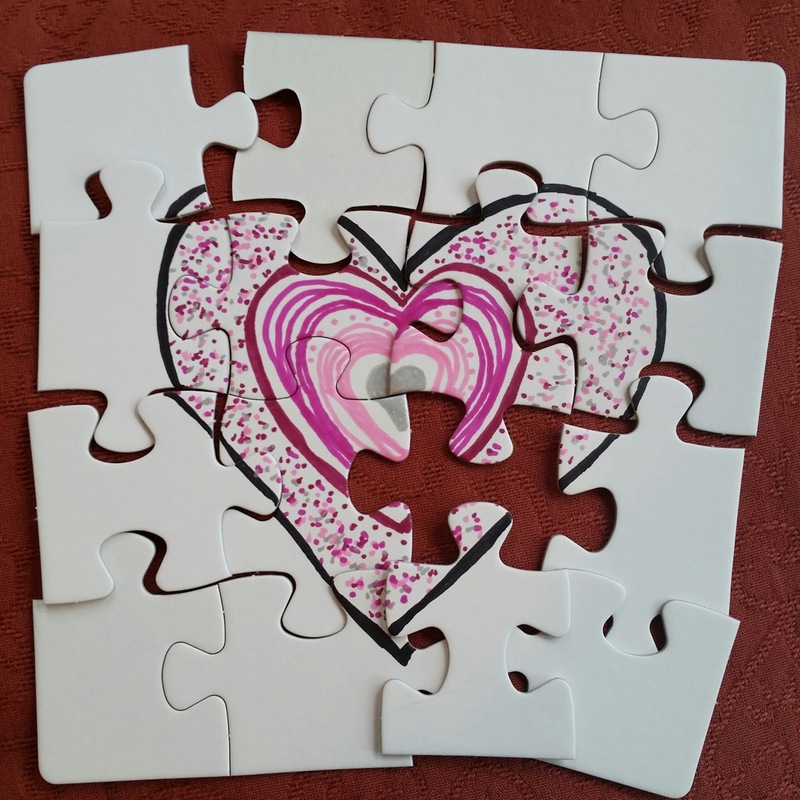 We do not have all the pieces to the puzzle. We may not have any idea what was experienced in the relationship. Even if we disagree with the reason for the estrangement, we have to be mindful to be accepting of the feelings a family member has. Suggested Intervention: Self-reflect on our own feelings about non-reconciliation. The most memorable advice I was given as a new social worker was to remember the acronym: NATO - Not Attached To Outcome. The best support we can provide to patients and families is to provide loving kindness without attachment to how things “should” be in their lives and relationships.